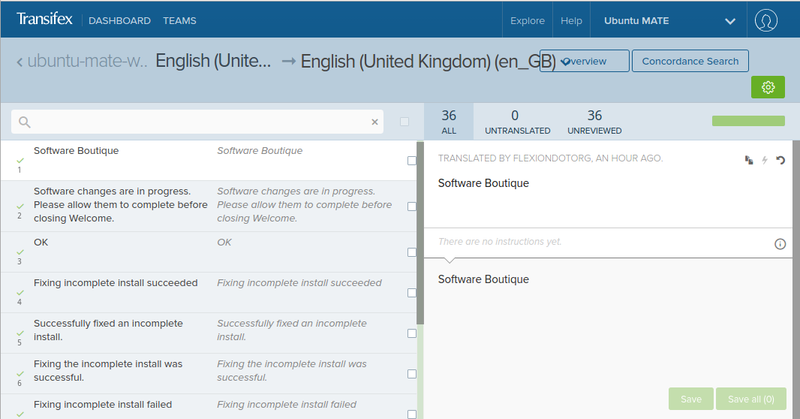 In this simple guide, we'll be looking at how to translate open source software using Transflex, an online service. This article features Ubuntu MATE Welcome as the application to translate. It's free, and requires an e-mail address. 2. Join a team for translating. Open the project page to find the application you'd like to translate. Click Join Team. Pick the language you'd like to translate. 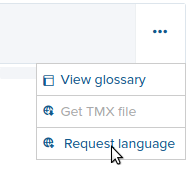 Use the hamburger icon on the last page to request a language. You may need to await approval from the maintainer before translation can be started. Pick your desired language from the list. Pick the page you'd like to translate from the list. Click on the entry, a pop up will appear, click Translate. That's all! You may recieve e-mail notifications to keep you informed you should the translations require a review or become incomplete by new strings. Thank you for your contribution. Your time makes a difference to users around the world who can experience open source in their own native language. German speaking proof readers please line up! So we do not need to speak the language, just be able to run a translator? I’m new to this, got to ask. It’s for people who can read and write between two languages, not necessarily the speaking aspect. No point having an inaccurate computer translator doing the work, language is very complex. 7 posts were split to a new topic: How can I test new translations in Welcome? I just install Ubuntu Mate 16.04 and I found out that there’s no italian translation!